Can You Beat Bob Lutz and the Cadillac CTS-V? / News / Can You Beat Bob Lutz and the Cadillac CTS-V? 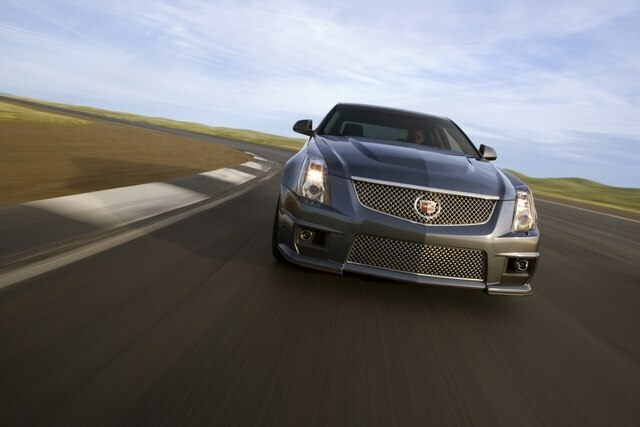 Think you have what it takes to best both Bob Lutz and the Cadillac CTS-V on the track? Throw your hat in the ring, and you just may get the chance to prove it. Lutz had previously promised journalists a chance to best him and the high-performance Caddy, but the event — billed as the CTS-V Challenge — now is open to owners of other performance luxury sedans. One Jaguar XFR is already in the mix, but we wouldn’t be surprised if owners of Mercedes-Benz’s C63 or the BMW M3 may want to prove their worth. How do you qualify? GM is making the driver selections, but you have the best chance if you’re older than 21, devoid of a shoddy driving record, and own a stock, unaltered sedan within the “CTS-V competitive set.” If selected, you’ll head out to Monticello Motor Club in New York on October 29, and have five laps around the course.